Anniversary. Eternity. Choose a ring that makes a statement of your love. With this strong 9ct yellow gold crossover band, set off perfectly with a radiant row of 1/4ct diamonds. 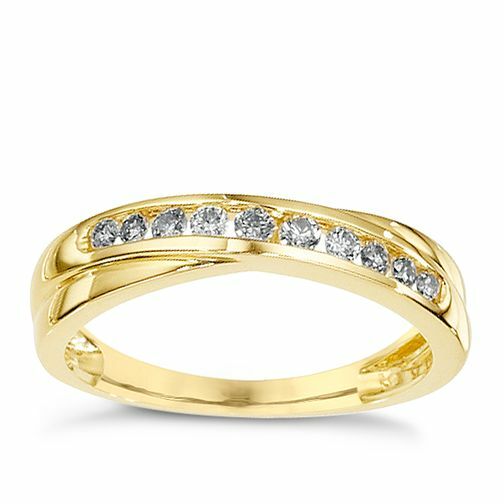 9ct yellow gold 1/4ct diamond crossover ring is rated 5.0 out of 5 by 1.